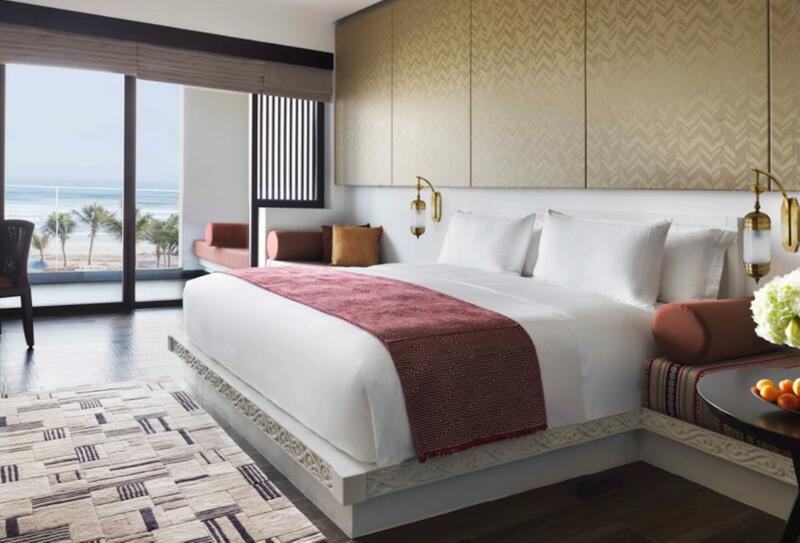 Between a private beach and a freshwater lagoon, on the stunning south coast of Dhofar, the majestic Al Baleed Resort Salalah by Anantara offers an escape from the world. 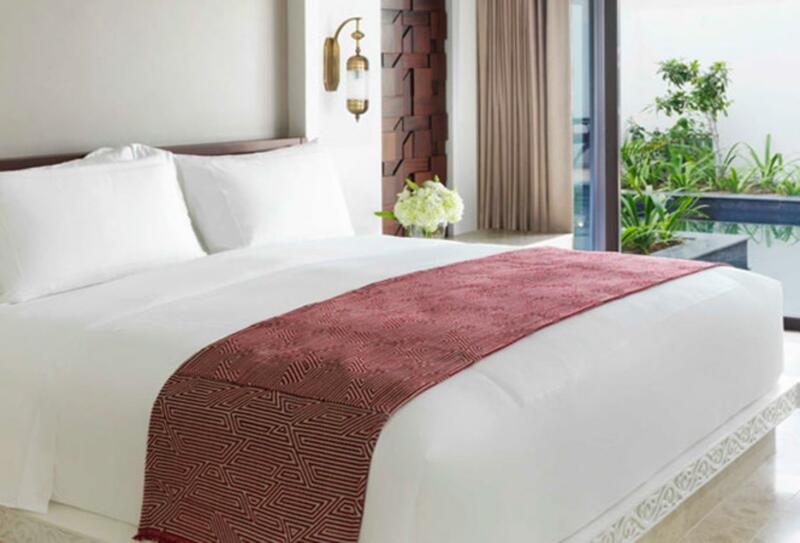 Rooms and Villas all have outdoor spaces furnished with majilis seating and the Pool Villas are situated overlooking the beach, garden or lagoon. of the sea, beach or garden. 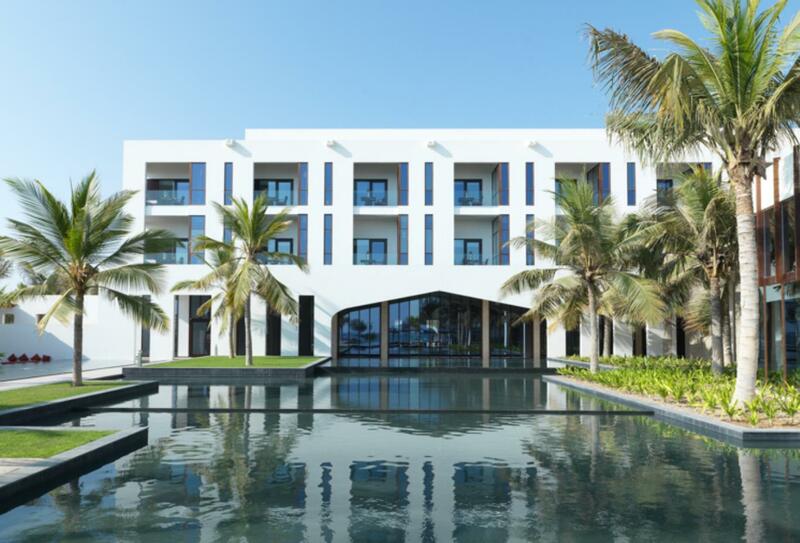 The infinity pool overlooks the sea and there is a spa, fitness centre, tennis and badminton courts and for the children a kids’ club. Activities include Wine Master Class, Cooking Class, Cinema Under the Stars, fishing or dolphin watching. 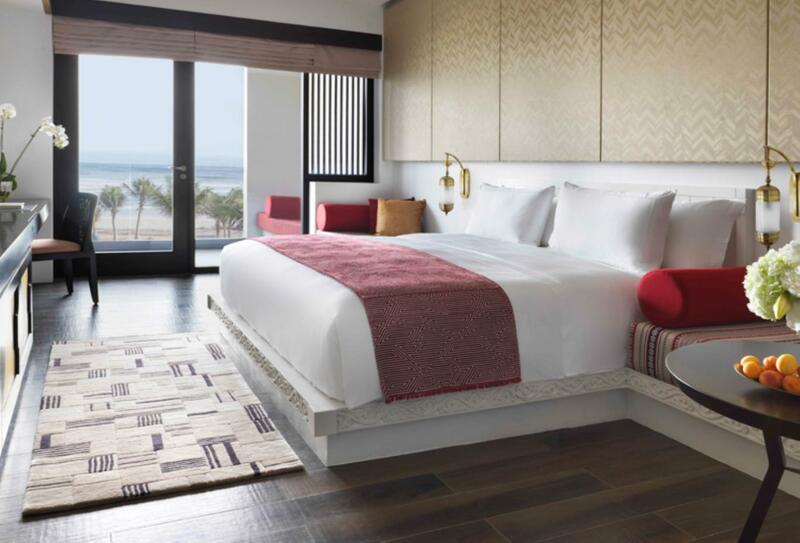 The resort has 3 restaurants, international buffet, Asian and Mediterranean choices and you can Dine by Design the Anantara way on the Salalah shores. 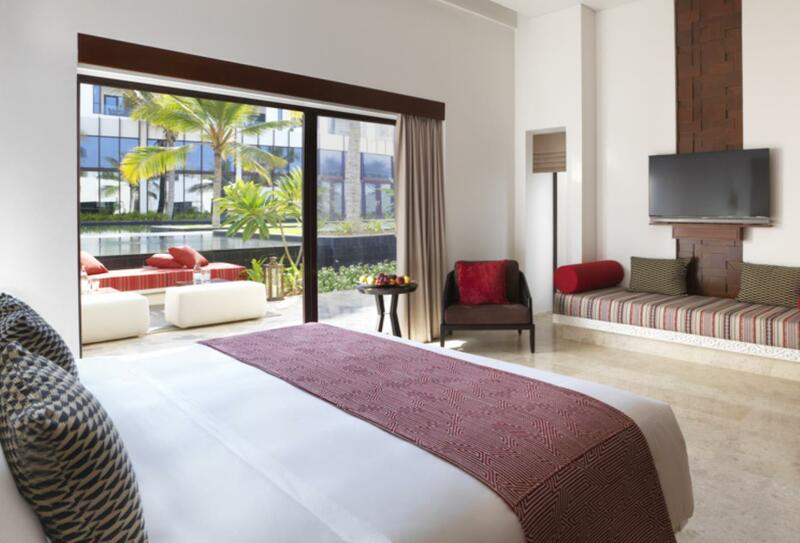 The Deluxe Garden View Room has a private courtyard entrance surrounded by lush landscaped gardens. The room also features an outdoor terrace. 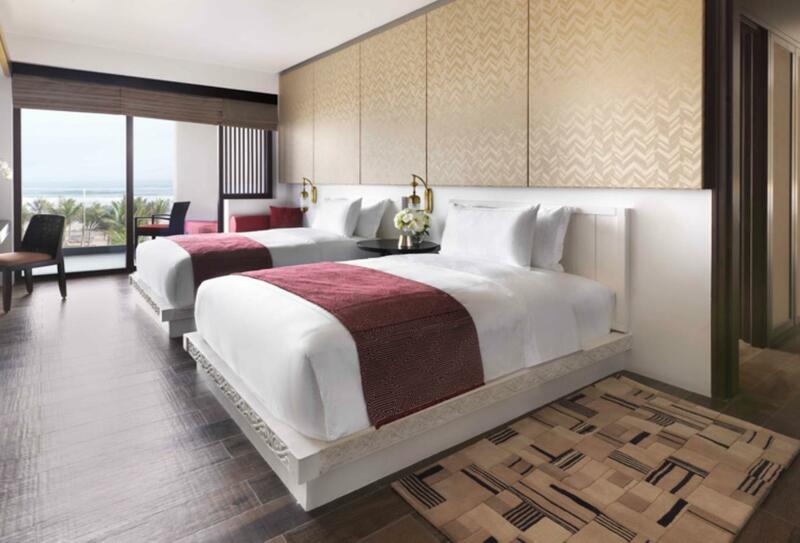 The Premier Sea View room features a furnished balcony and sea views. 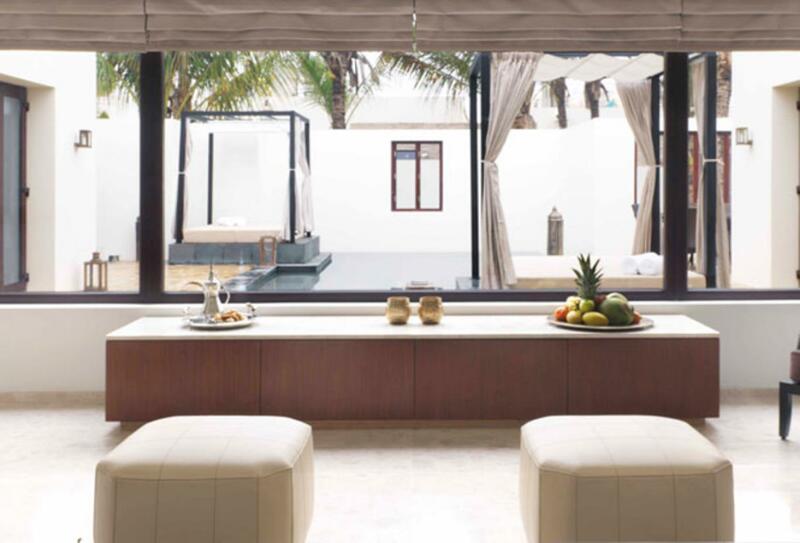 Offering views of the freshwater lagoon, these villas have a private courtyard entrance and a peaceful enclosed outdoor garden terrace. 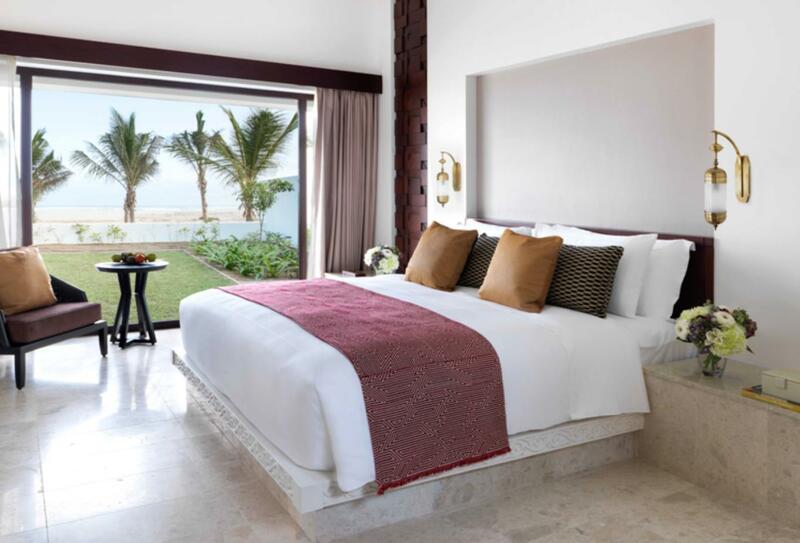 There are only two Deluxe Beach View rooms, each with a private courtyard entrance and an outdoor terrace. 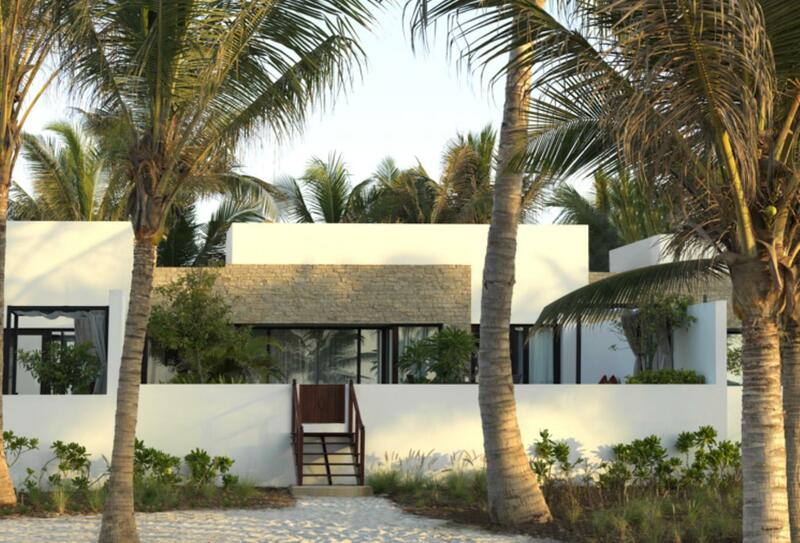 This villa has an outdoor beach terrace and separate indoor lounge spaces. 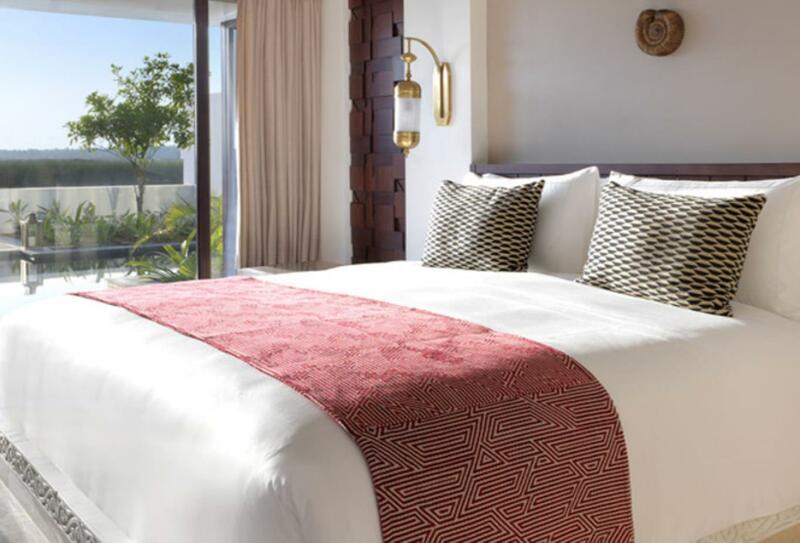 Guests can enjoy direct beach access and views of the beach. 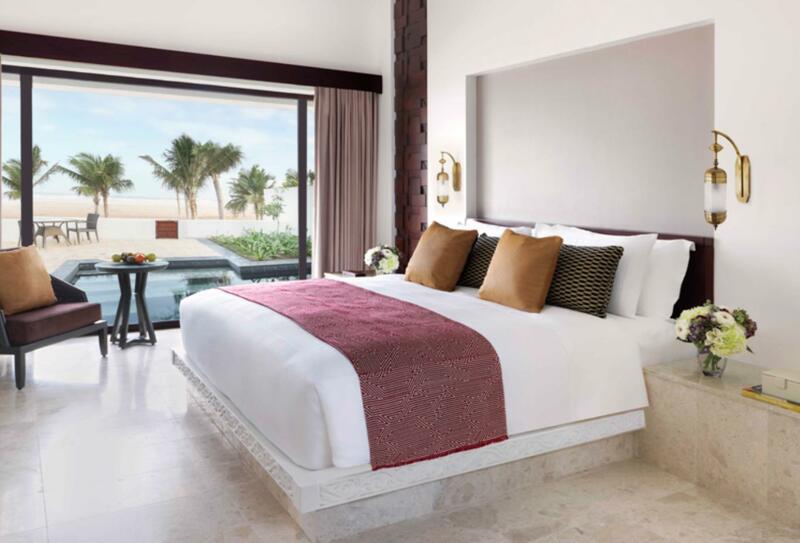 The largest and most luxurious of the accommodation at the resort, the Three Bedroom Royal Beach Villa features an outdoor beach terrace, private courtyard entrance and a 40sqm private pool. 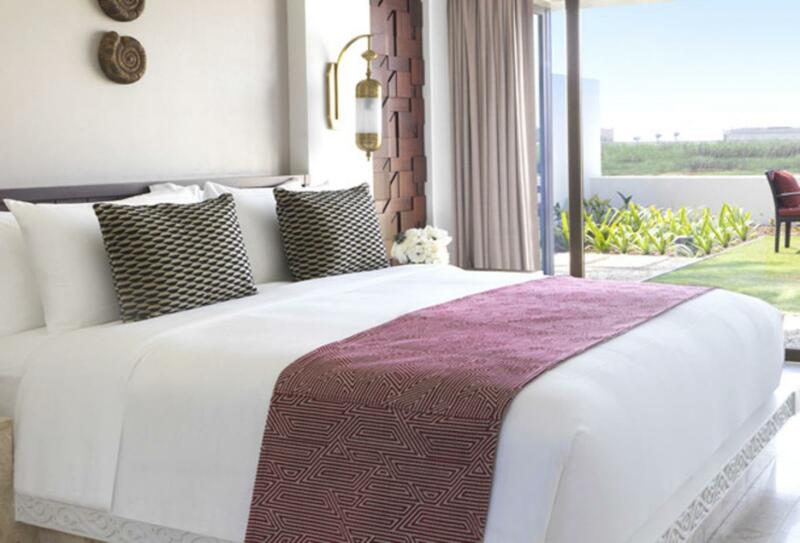 Spacious and stylish, the One Bedroom Garden View Villa has a private courtyard terrace and an enclosed outdoor garden terrace. 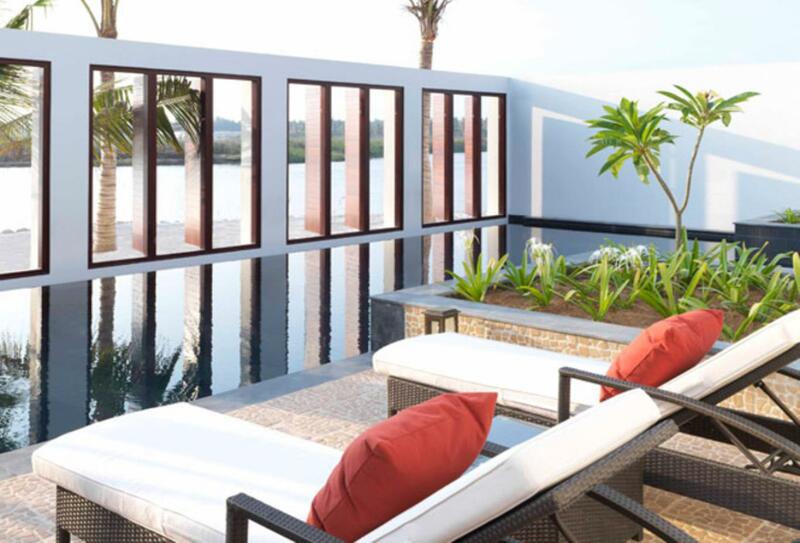 This villa features a 20sqm private pool, landscaped terrace, separate lounge areas and views of the lagoon. This villa has a 20sqm beachfront pool and sundeck with loungers. 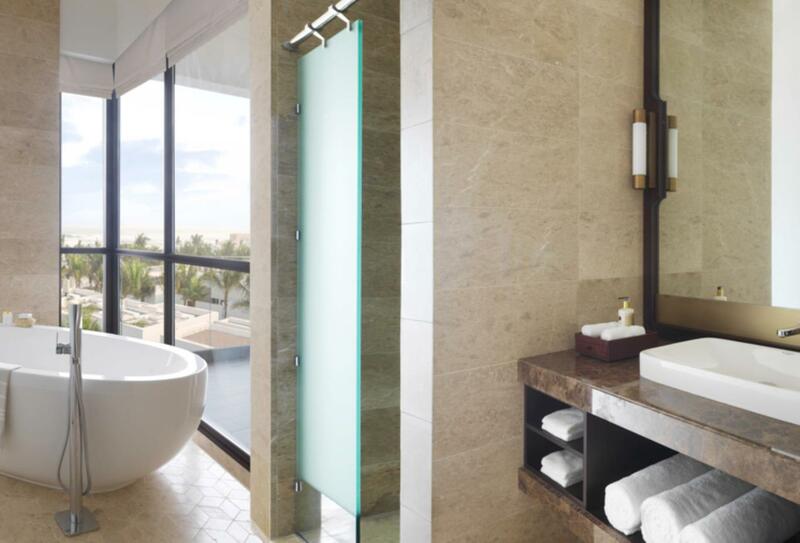 Enjoy direct beach access, a private courtyard entrance and separate indoor lounge areas. This generously sized two-bedroom villa has its own 30sqm private pool and an abundance of indoor and outdoor social areas, including an enclosed outdoor garden terrace with dining facilities. Taking inspiration from treatments pioneered in Thailand. 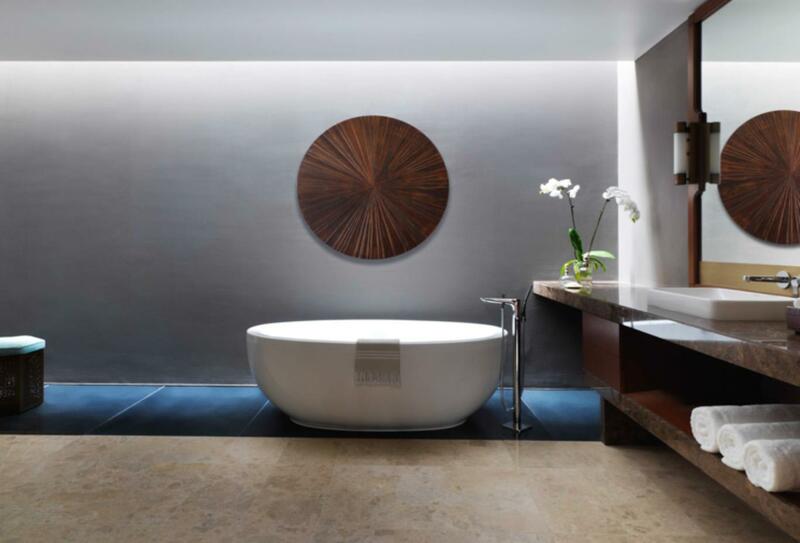 The staff at Anantara Spa focus on pressure points and offer signature treatments and pampering rituals to ease tension in the body. This all-day dining venue serves international cuisine. Sit in the dining room or on the terrace with views of the pool and water features. Themed buffet nights. 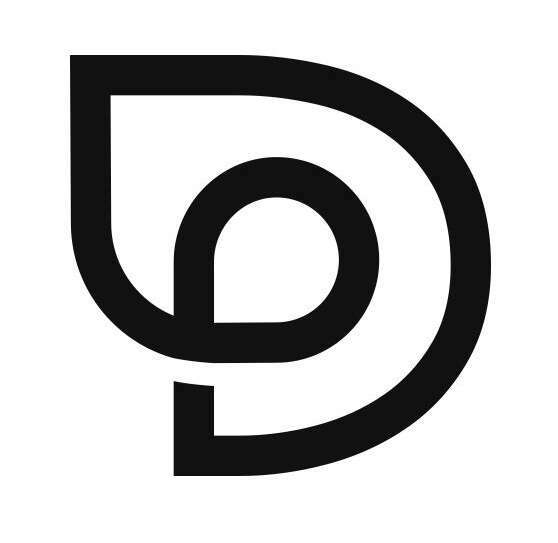 Open for breakfast 07:00 – 11:00, lunch 12:00 – 15:00 and dinner 18:30 – 22:30. 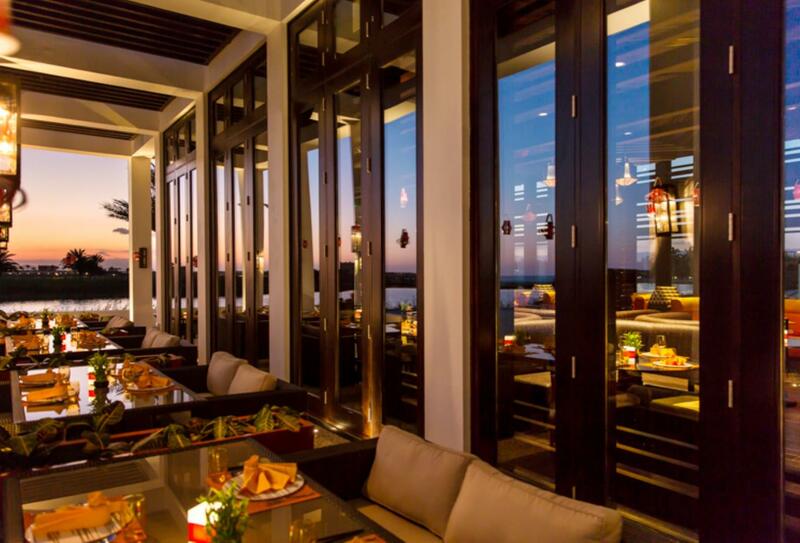 Inspired by Asia’s culinary heritage, Mekong serves regional specialties on the terrace or in the dining room. Open 18:30 – 23:00. A beachside restaurant serving Mediterranean cuisine serves on the beach or poolside. Open 10:00 – midnight. Enjoy tailor-made private dining. Choose from several menus and take in the moment on a private beach with a personal butler. 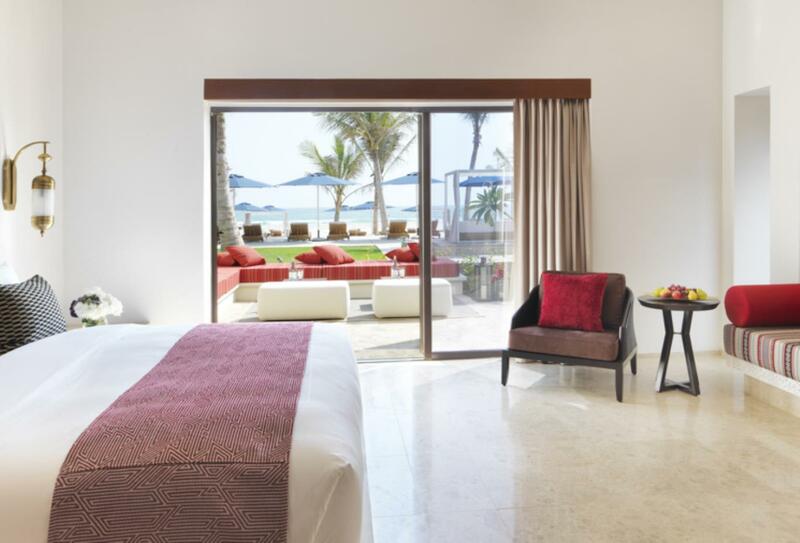 Al Baleed Resort Salalah by Anantara is along the south coast of Dhofar, just 20 minutes by car from Salalah International Airport. The resort is close to many landmarks and is just next-door to the Al Baleed Archaeological Park UNESCO World Heritage Site.